The Silicon Valley residential real estate market as a whole is constantly changing and the third quarter was no exception. Individual cities and communities within our market can often behave independently from each other, so it’s essential to understand the nuances of each area and how fluctuations could affect your sale and purchase goals. For example, in the third quarter, the Woodside market saw the biggest gains in median sale price, up 33% from last quarter and 43% year-over-year, to $3.65 million. But sellers in Woodside also had to be patient as homes in this market took an average of 78 days to sell, which was the longest out of any other Silicon Valley market. Conversely, Menlo Park saw the biggest decrease in median sale price of the Peninsula markets to $2.21 million, which was a 20% drop from last quarter and 15% drop year-over-year. But homes in Menlo Park also sold in an average of 27 days, which was close to the average for both San Mateo and Santa Clara counties. Are we simply seeing market stabilization? Possibly. Let’s take a look at the key metrics for the third quarter. In the third quarter of 2018, median single family home prices were still up year-over-year in both San Mateo and Santa Clara counties (13% and 12% respectively), but were down from last quarter. The median home price in San Mateo was $1.59 million and $1.3 million in Santa Clara. As I mentioned above, Woodside was a standout city this quarter, but Los Altos and Redwood City also saw an increase in median sale price over last quarter. The median home price in Los Altos was $3.4 million, a 13% increase year-over-year and 3% increase over last quarter. Redwood City had a median sale price of $1.725 million which was a 7% increase from third quarter 2017 and a 1% increase from the second quarter 2018. The rest of the Peninsula saw a decrease in median price as compared to the second quarter, but homes in every market except Portola Valley and Menlo Park were still worth more than they were this time last year. Homes in most markets are also continuing to sell above list price. In San Carlos, the percent of sale price to list was 110%. In Cupertino, it was 108.5%. In fact, even Menlo Park, which saw a decrease in the median sale price, also saw homes selling at 105% above listing. Markets where homes sold below listing included: Atherton, Los Altos Hills, Portola Valley and Woodside. The important thing to remember is few homes trade within a given month or quarter, so one or two sales can skew the data. As was the case in Woodside. Only 17 homes sold in Woodside in the third quarter 2018, and while most of these homes sold within 3 weeks on average, there were 3 homes that took considerably longer to sell. This skewed the average days on the market (DOM) for the market as a whole upward. Menlo Park, on the other hand, had 64 homes sell in the third quarter so the drop in median home price wasn’t so much a factor of one or two sales skewing the numbers. It was likely a factor of the homes themselves. 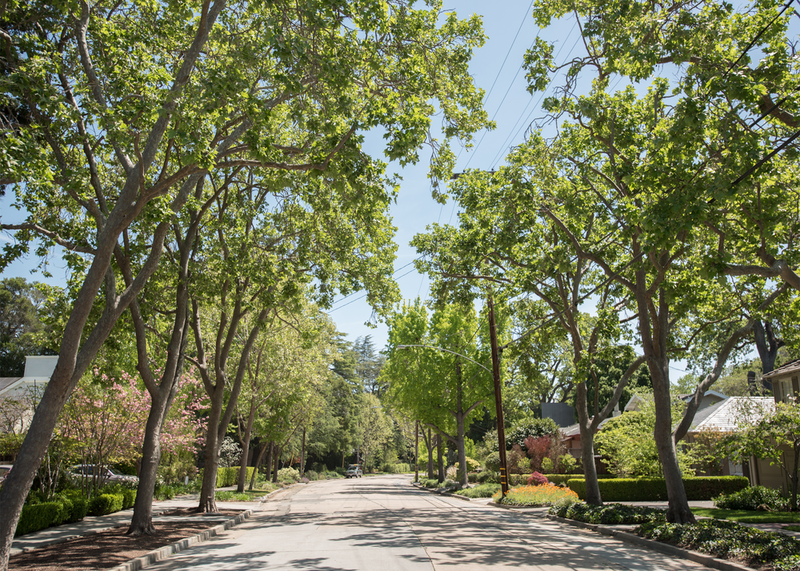 Menlo Park still remains one of the most desirable places to live in Silicon Valley, as was exhibited by the fact that homes in this market sold, on average, for 5% over list price. But the homes that were placed on the market were, on average, smaller in square footage which can account for a lower list price. There are many factors that go into pricing a home: floor plan, which direction the windows are facing, lot characteristics, age, style, the block on which the house is on, and general location within the market. This is why you need an agent who has the expertise to help you price your home appropriately or make a competitive offer. In the third quarter, the number of homes a buyer had to choose from, depended largely on where he or she was looking. The number of new listings is up year-over-year in 6 of the 12 markets and San Mateo and Santa Clara counties as a whole. But when we compare inventory levels to last quarter, they’re down in every market, including San Mateo and Santa Clara counties, except San Carlos and Redwood City. When comparing on year-over-year basis, Sunnyvale had the greatest proportional increase at 33.5% (219 new listings), with Menlo Park coming in a close second with a 33.3% increase in inventory (108 new listings). Redwood City had a 23% increase in inventory (197 new listings), San Carlos increased its inventory by 14.6% (102 new listings), Palo Alto saw a 7% increase (119 new listings), and finally Cupertino added 74 new listings for a 3% increase over last year). All other markets saw a decrease in inventory, with the biggest drop in Atherton. 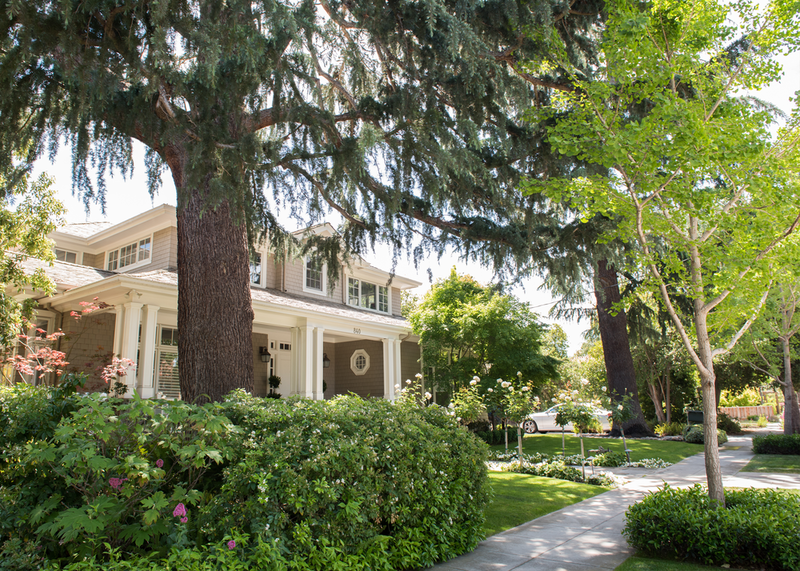 The Atherton market had only 18 new listings in the third quarter, which was down 42% from last year and 47% from the second quarter. All that being said, the Peninsula ended September with two months’ supply of inventory, means, given current buyer demand, it would take two months to sell every home that’s currently for sale, provided no new inventory gets added to the market. This is almost twice the amount of inventory we had last year at this time and closer to what we’ve historically seen in this area. This shows we are moving towards a more balanced market where home sellers are still likely to see multiple offers and home buyers have more options to choose from than they’ve had in over a year. As inventory is added to the market, homes usually take longer to sell. This was absolutely true in the third quarter if you compared the average DOM from the second quarter. But the adjustment was uneven. Homes in markets like Woodside, Portola Valley, and spent 78 days, 73 days, and 69 days, on the market, on average, which represented an increase of 18, 59 and 22-day increase from last quarter. Conversely, homes in Los Altos, Palo Alto, Cupertino, San Carlos, Mountain View, Sunnyvale and Redwood City are all selling in 20 days or less, on average. So while most homes are sitting on the market a little while longer than they did earlier in the year, the difference is marginal and indicates demand is still strong in most markets. Each individual market is behaving independently of the others, so whether you’re a buyer or seller, you need an agent with intimate knowledge of the local dynamics and a wide personal and professional network. Sellers have more competition now than they’ve had in a while, so as I said last quarter, marketing and pricing strategy are more important than ever. As a buyer, information and expertise will be the key to your success. You want to partner with a real estate agent who can help guide you to the best market for your needs and position you to be successful.